Last week was a bit of a crazy one. Here I was, in Istanbul, staying with a friend, with the money I got from Lufthansa and with spirit filled with enthusiasm through asana, breath and wisdom. I had a backpack filled with a bunch of underwear, my yoga clothes, an extra tshirt and my laptop. On Tuesday, I had a meeting with an old friend, Aysu, my old diving teacher whom I haven’t seen for maybe 7 years. She had sent me a questionnaire about a new project of hers recently, and that’s how we got reconnected. We met by the sea and talked about the things we were doing during those years. Check the Background section in case you don’t know what I was up to during that time. I graduated from Metallurgical and Materials Engineering in 2006, worked here and there while learning mostly about how people work, how groups work and what makes a business place loveable, rather than some engineering equations. I also was lucky enough to enroll to a Yoga Teacher Training program and became an instructor. In 2010, I applied to a one year introductory course to become an industrial designer, my lifelong dream (well, since highschool at least :)), got accepted so I quit my job at Turkish Aerospace Industries, packed my bags and went to Umea Institute of Design, Sweden to start a new career and a new life. This was the point that I was at, when I met with Aysu. She, as well, was also quite busy; graduating from electrical engineering, working and getting an engineering masters degree, moving to Belgium to study management and comes back to Turkey to start up her own social venture. Turns out she was going to a seminar about “Elevator Pitch”(pitching your idea in shortest possible time, generally less than 1 minute) and asked me if I wanted to join. I just felt to urge to follow whatever was coming next with all the weekend yoga lingering in my system, so I said “sure!”. A big part of the urge also came from the fact that I quite enjoyed the talks we had with Aysu, and wanted to see if it would be possible to work together with her during my internship time and find some ideas for my degree. 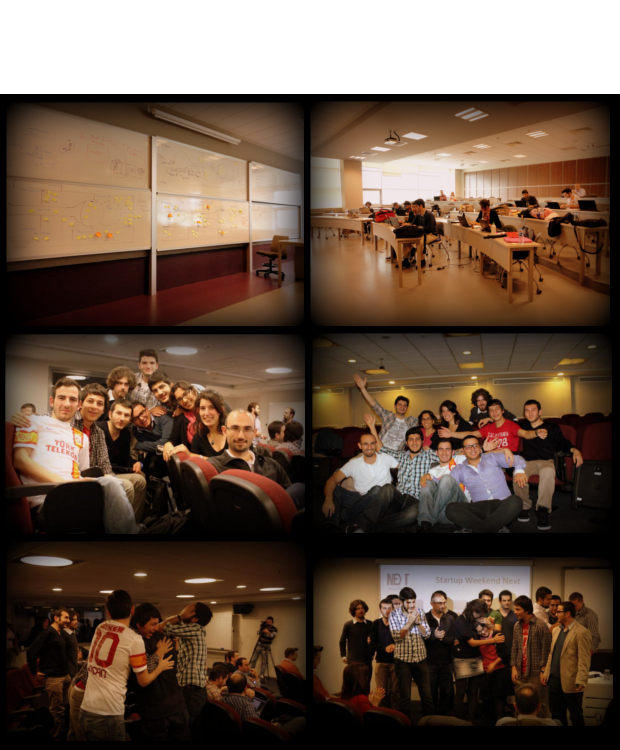 This seminar was a preparatory one for “Startup Weekend Istanbul” (November 9-11) , where people either come to pitch their business ideas or designers, developers that want to participate in a team to turn the ideas into businesses in 54 hours. 10 teams out of 36 (in our case) are selected by voting and teams build up around these ideas. Once again I find myself saying “sure” to the invitation to join the SW Istanbul, to help Aysu with design stuff, but she suggested that I, too should pitch an idea and that is how it all started! We both pitched our ideas, though I forgot half of what I wanted to say, and upon coming from bathroom right after the last pitch, I saw Aysu standing on the stage and gesturing me to come up. So we were both in the final 10!! Not knowing so much what to do, I replied “I need everyone that likes the idea” when they asked us to tell who we need in the teams. As we were led out to build teams, a guy gave me a notepad and a pen when he sees me standing there with confusion and told me to talk to people and give emails (I’m forever grateful to him!). Since it was our main goal with Aysu to work together, we gather the teams and tell them that we decided to run 2 projects in parallel with a big team. From Friday 19:00 to Sunday 13:00, we worked, ate, worked, slept, prepared, worked and on Sunday 14:00 I went up the stage to present Library of Stuff in front of a jury of 8, consisting mostly of investors. As we nervously waited for the results, we learnt that the winner team needs to prepare a video in the next 24 hours to join Global Startup Battle. I turned to Aysu and jokingly said “I hope we won’t be the winners, I want to go home and take a shower”, and with huge eyes and a big smile she shaked her head saying “Ayseee, don’t be silly! !” and ta daaa!! Library of Stuff is the winner!! So after the shock and happiness and a bit of celebration we go home to preapare the video and live yet another showerless and sleepless night but prepared a pretty nice video at the end. Now, we are competing in Global Startup Battle, and the 15 teams with the most votes through the facebook voting page will be the finalists. This Global stage is quite important for us to make Library of Stuff come alive, so we are trying to create a publicity and go viral. If you want to support you can vote here starting from November 22nd and everyone has one vote per day until November 28th 10:00am (gmt+2) or you can help us spread the word! love it – I can really hear your voice as I read! Best of luck, and I can´t wait to vote!